At the Marilyn Kuhlman Agency in Frisco, Texas, we want to help you choose the type of health insurance policy that will work best for you and your family. You may also explore directly the websites of some of our health insurance companies. Please click on the links below! 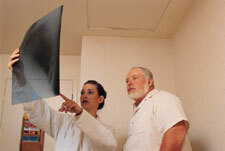 Managed Care Plans use networks of selected doctors and other providers to provide comprehensive health services. They may offer incentives to encourage you use to use the plans providers or they may require that use their providers. The different types of managed care plans include HMO and PPO. Traditional Plans allow you to go to any physician you choose but require that you pay for the services and file claims for reimbursement. Your plan may also allow your physician or provider to file the claim. Generally, you pay a deductible and a percentage of the doctor's charge (or co-insurance).